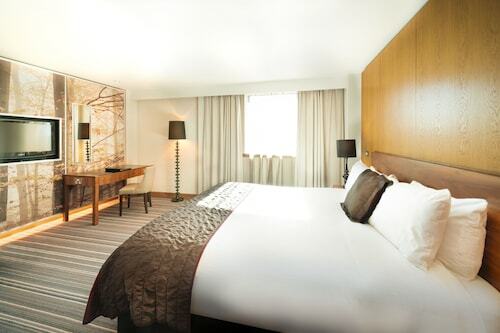 Situated in Wakefield, this hotel is steps from Wakefield Cathedral and Wakefield Theatre Royal. Hepworth Wakefield and Sandal Castle are also within 3 mi (5 km). Wakefield Westgate Station is 7 minutes by foot and Wakefield Kirkgate Station is 13 minutes. 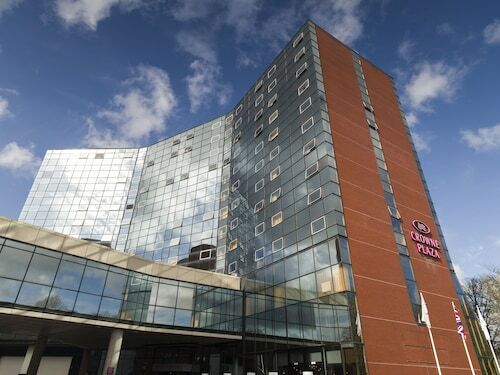 Situated in Wakefield, this hotel is within 2 mi (3 km) of Hepworth Wakefield, Wakefield Theatre Royal, and Wakefield Cathedral. Sandal Castle is 1.8 mi (2.9 km) away. Wakefield Kirkgate Station is 29 minutes by foot. 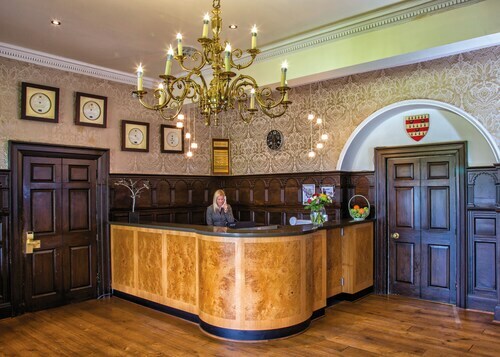 Located in the heart of Wakefield, this hotel is 1.9 mi (3.1 km) from Sandal Castle and within 6 mi (10 km) of Yorkshire Sculpture Park and Hepworth Wakefield. Wakefield Cathedral and Wakefield Theatre Royal are also within 6 mi (10 km). Situated in a rural location, this guesthouse is within 6 mi (10 km) of Middleton Park, Royal Armouries, and Leeds Grand Theatre. Thwaite Mills and Wakefield Cathedral are also within 6 mi (10 km). Situated in a rural location, this eco-friendly hotel is 3 mi (4.8 km) from Hepworth Wakefield and within 6 mi (10 km) of Yorkshire Sculpture Park and National Coal Mining Museum. Nostell Priory and White Rose Shopping Center are also within 12 mi (20 km). 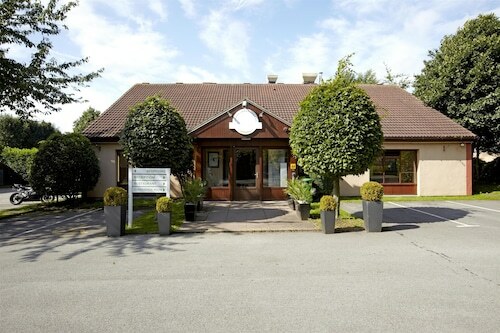 Situated in Wakefield, this golf hotel is 2.9 mi (4.7 km) from Hepworth Wakefield and 2.9 mi (4.7 km) from Chantry Chapel of St Mary. Wakefield Cathedral and Wakefield Theatre Royal are also within 6 mi (10 km). How Much is a Hotel Room in Wakefield? Hotels in Wakefield start at $30 per night. Prices and availability subject to change. Additional terms may apply. If you are researching a vacation in West Yorkshire and are after the right place to stay in Wakefield, there are a wide range of Travelocity options. Within a 6-mile (10-kilometer) radius of the main area of Wakefield, visitors can choose from 15 memorable accommodation options. 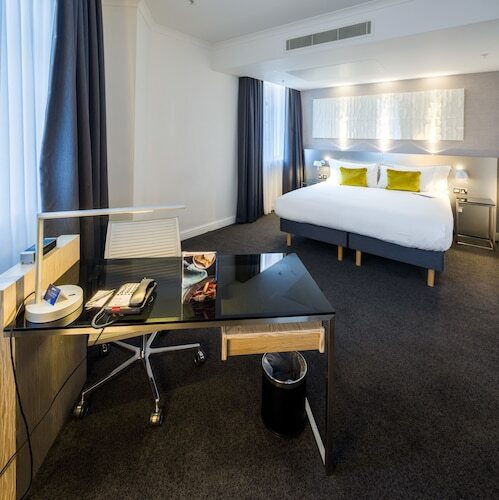 The Campanile Hotel Wakefield, is a wise decision for the wise traveler as a result of the fact that it's the most centrally situated Travelocity-listed accommodation option in Wakefield. 5 miles (9 kilometers) from downtown Wakefield is the Foxwood Guest House. 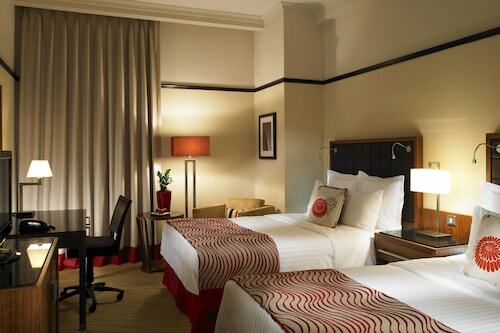 This hotel is a great option for tourists who are looking for economical options. 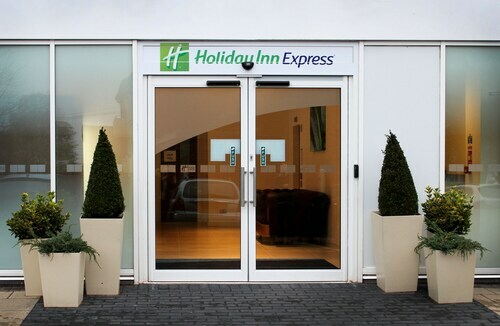 Travelers could also check out the rates at the Holiday Inn Express Wakefield. You could check out the Gateway Apartments along with the Quebecs Luxury Apartments. The Gateway Apartments can be found 9 miles (15 kilometers) away from central Wakefield. The Quebecs Luxury Apartments, is situated 9 miles (15 kilometers) away. Another option is to make a reservation at the Wood Hall Hotel and Spa or the The Chambers - Park Place - Apartments. Looking for more activities? You could spend some time exploring Ilkley Moor and Ilkley Toy Museum, which can be found in Ilkley, 20 miles (36 kilometers) northwest of Wakefield. 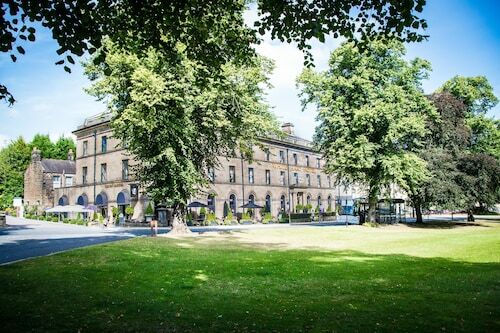 If you spend a night or two in Ilkley, check out the Best Western Rombalds Hotel and Craiglands Hotel. 16 miles (25 kilometers) northwest of Wakefield, is Yeadon, which is home to the Chevin Country Park Hotel & Spa and Hillcroft Barn. If you come to Yeadon, don't miss the Yeadon Tarn Park and Yeadon Town Hall. Just because you and your traveling partners are on vacation, who's to say that you can't indulge in your obsession with sports. Old Trafford is situated 35 miles (56 kilometers) to the southwest of Wakefield. 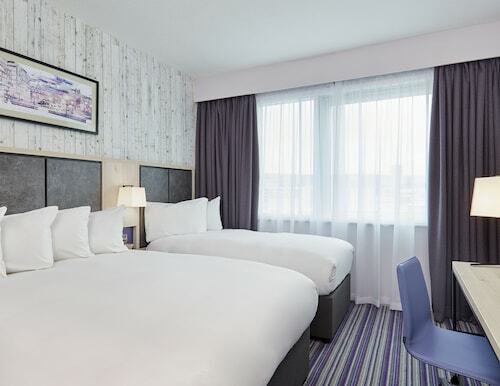 Those sports fans wishing to find a bed close to the action will love the Dreamhouse Manchester Bloom Street or the The Lowry Hotel. When you're flying via Leeds Bradford Airport and plan to find a Travelocity-listed hotel in the area, consider The Half Moon Inn or Britannia Leeds Bradford Airport Hotel.